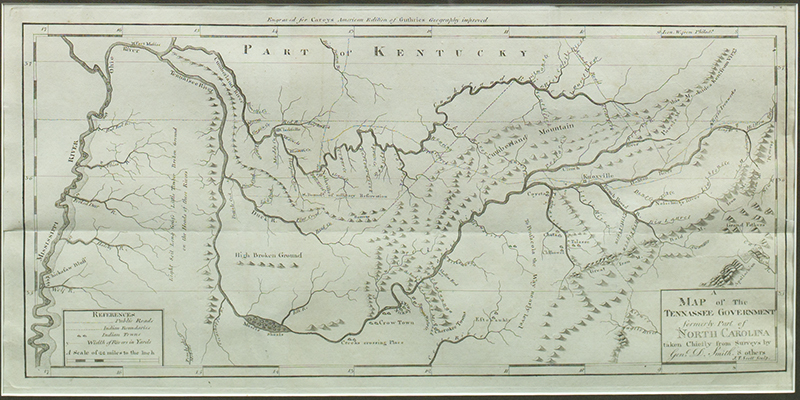 A Map of the Tennassee (sic) Government, 1794. Issued two years prior to admission to the Union as a state, this is the earliest map showing Tennessee as its own entity. Title: A Map of the Tennassee Government, Formerly Part of North Carolina. Taken Chiefly from Surveys by Genl. D. Smith & Others. Condition: Uncolored. Tear 2" into blank area below and fold split repaired verso; o/w vg to fine. Catalog: Heritage Map Museum 10th Anniversary Antique Map and Atlas Auction: December 6, 1997. More maps and prints to come when I get time.